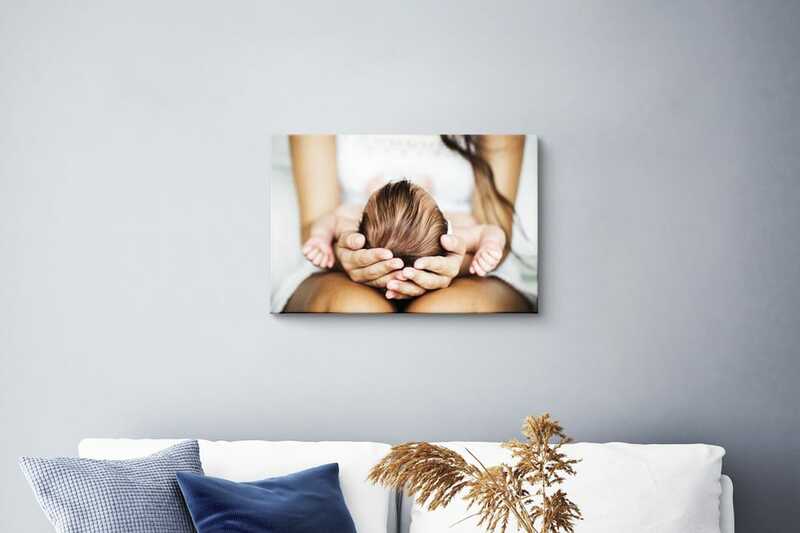 The living room is, of course, the place to hang your photo on canvas. 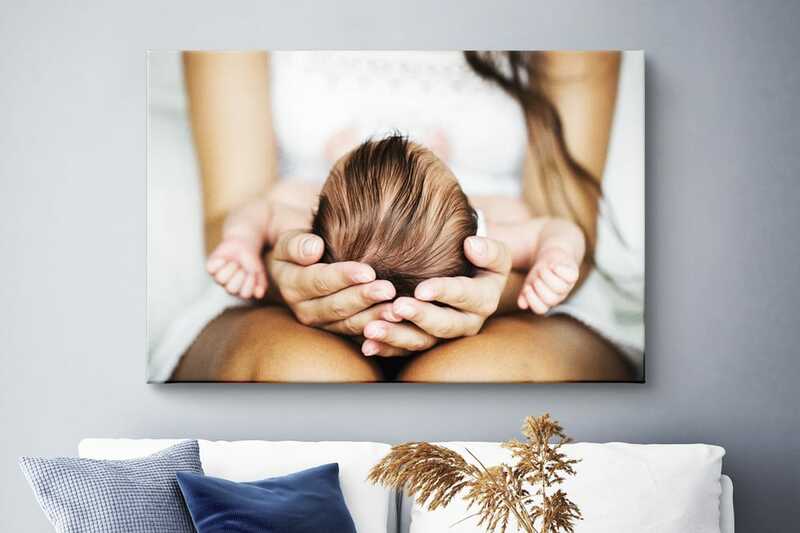 Whether it is a picture of your children, a beautiful holiday photo or your personal artwork, the living room is the ideal place for this. After all, you spend most of your time with your friends or loved ones here. It might seem simple: Just drill a hole and put your canvasprint on the wall. 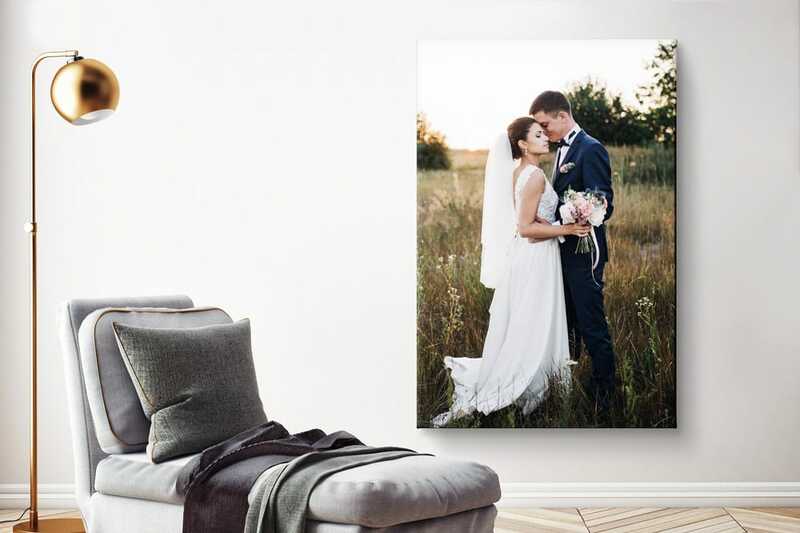 Still we have some excellent tips to hang your canvas in your living room in the best way possible. We want you to enjoy it as long as possible so that you make a jump for joy every time you look at it. 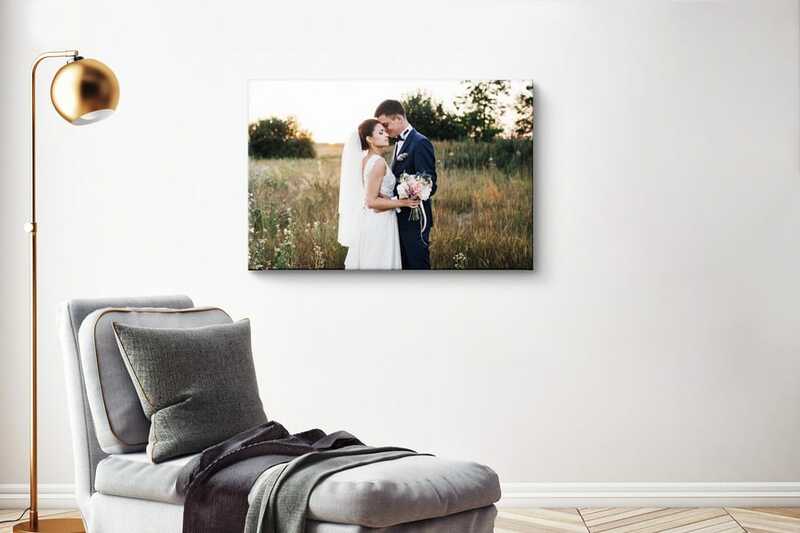 Your photo on canvas in your living room should do that to you! Bigger means more impressive. A large canvas is a real eyecatcher in your living room. The canvas must fill up your wall properly. Do not be afraid to put an extra large size on your wall. A mistake is quickly made by using a too small canvas on a large empty wall. Below are 2 examples of this. Which one would you put on your wall? It's always better to put a canvasprint too low than too high. If you put the canvas too high, this often gives you an unpleasant feeling. It emphasizes the height of your living room and creates an uncomfortable atmosphere. Putting the print slightly below eye level is the best place. We therefore recommend that you first hold the canvas at various heights before determining the final height. 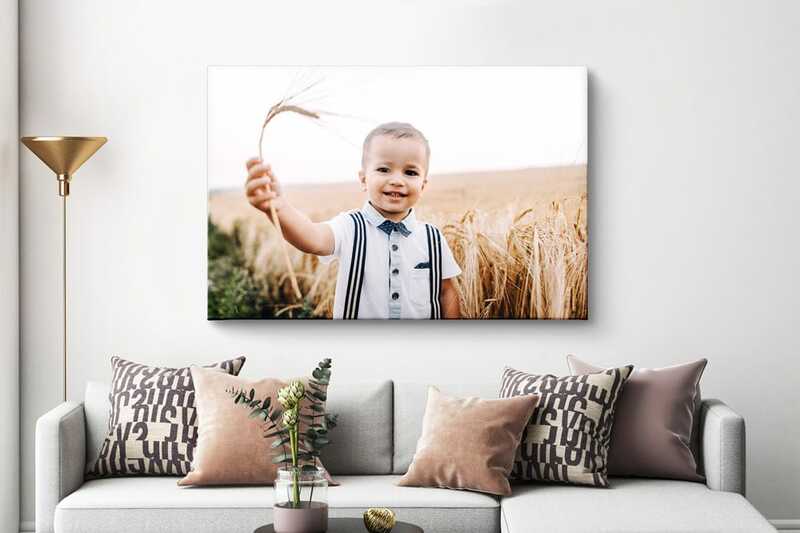 The most obvious place to hang your photo on canvas is above the couch. But there are also very nice other places in your living room to hang your canvasprint. For example, next to your bank. This often gives a very nice and spacious atmosphere. Especially if you choose a large size canvas covering the entire wall. We hope that 3 tips have helped you and if you have any questions or are looking for super advice, please let us know. 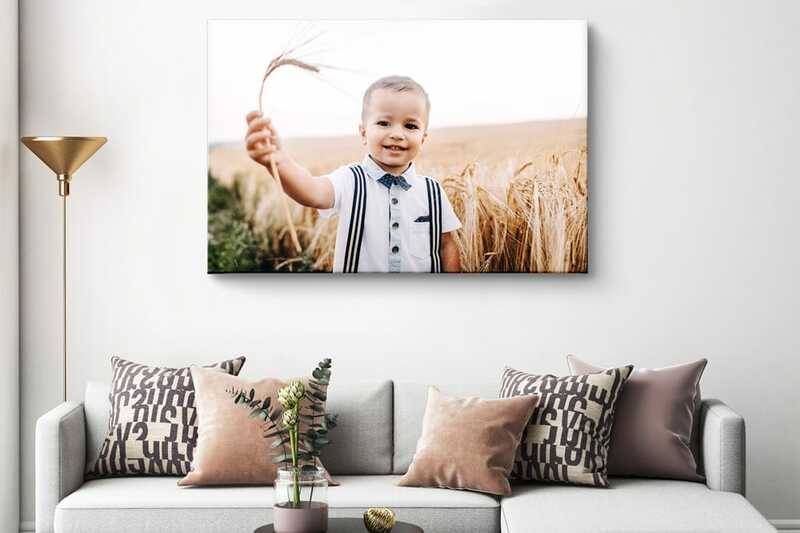 We will help you with great pleasure to make your photo canvas appear as beautiful as possible in your living room!